There is moralism with the intent to teach, and moralism with the intent to question. When I hear the word "moralist," I imagine a didact, a preacher- like figure intent on explaining the difference between good and bad. It seems self-evident to me that these people have no business writing novels, if for no other reason than their strict dogma jeopardizes their readers' pleasure. Thomas Mann captures this tedium exactly when he writes, in "Buddenbrooks," of the "wide-eyed expression that children put on when someone reading a fairy tale to them is tactless enough to insert some general remarks on morals and duty -- a mixture of embarrassment and impatience, piety and boredom." Not only does moral preoccupation corrupt the artfulness of fiction, but fiction is an inefficient and insincere vehicle for moralizing. If an author's motive is to impart a lesson, he would be better off writing a manifesto or publishing a pamphlet and distributing it free on the subway. Novels are, by their very nature, slow. It takes a long time to read a book -- longer than looking at a painting or listening to a song. And of course writing one takes even longer. If you are a person whose aim in life is to spread the gospel of good, writing about the inner lives of people who do not exist is a bad use of time. 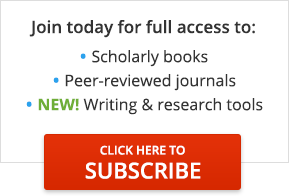 Publication information: Article title: Do Moralists Make Bad Novelists?. Contributors: Gregory, Alice - Author. Newspaper title: International New York Times. Publication date: July 10, 2015. Page number: 13. © International New York Times. Provided by ProQuest LLC. All Rights Reserved.